Happy childhood. 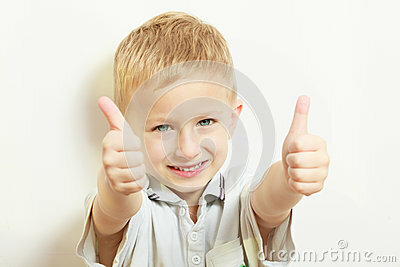 Portrait of smiling blond boy child kid preschooler showing thumb up success hand sign gesture. Indoor.